London can seem a very elusive city when you are zipping across it on tubes or buses. Going by foot can be a great way to get your bearings and navigate through the labyrinth of streets that criss-cross the capital for miles. Walking tours are ideal for getting you acquainted with the real London in the company of a qualified guide. It's affordable, unpredictable, energetic and hugely absorbing. Explore the hidden secrets of our fantastically diverse city as you dive down alleyways and slip behind ancient buildings with one of these companies' fantastic walking tours. Run by entrepreneur Declan McHugh, City Secret Walks is a fun, fascinating and affordable way to explore London on foot. Bursting with bounce and enthusiasm, Declan is both tour guide and proprietor, and a hugely dynamic character. A prolific researcher, former actor and author of 'Bloody London', he has painstakingly developed some award-winning walks - including the popular Blood and Tears Walk which deals with Jack the Ripper and other London serial killers, as well as witchcraft and executions. The Shakespeare City Walk offers fresh insights into the Bard's genius and has been praised by The Independent newspaper. Passionate about London, Declan's tours are a great introduction to our effervescent city and every tour is an entertaining, immersive performance. Reputed to recite the odd Shakespeare soliloquy, his colourful and abundant knowledge is simply spellbinding. From gruelling horror walks to captivating insights into the Shakespearean era, we guarantee you'll have a great time. Known for their comprehensive coach tours, Golden Tours have branched out and are now as reliable a company as any to walk you round London. Promising an insightful and professional experience, their expert Blue Badge guides offer fantastic walking tours for a mere snip. 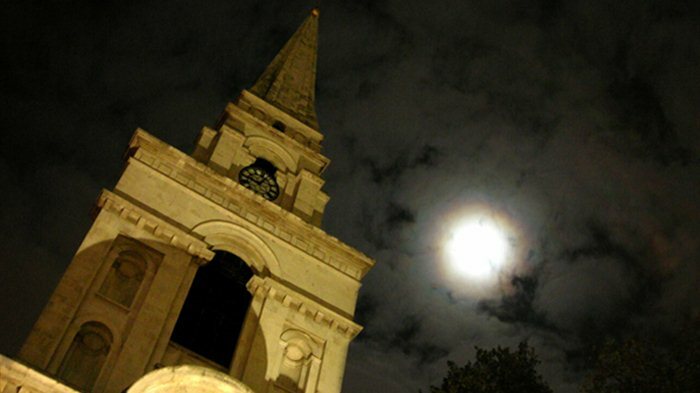 Follow your guide as you snake through the streets of the East End; as darkness descends, venture to Whitechapel to stalk the murder sites where Jack the Ripper slaughtered his victims. Alternatively - follow in the footsteps of Kate and William as you discover all you wanted to know about the royal couple's romance on the Royal Wedding Walking Tour. With a refined flair for bringing London to life, Golden Tours ingeniously peel back the many layers of London's history and modern-day appeal - including a look at the venues that wowed the world in the London 2012 Olympics. The gruesome stories of Jack The Ripper remain part of the greatest mystery in the history of UK crime. The unsolved questions and mysterious stories of this elusive criminal are the stuff of London legend and the Jack The Ripper Tour is perhaps the most shocking and exciting Ripper experience in the city. A team of expert guides and 'Ripperologists' will take visitors on a chilling tour around the streets of London, visiting the scenes of his notorious murders and examining evidence and clues. All guides are members of the Cloak and Dagger Club, a theatrical performance team that helps lend a sense of authenticity and drama to the tour. And with the help of RIPPER-VISION, top of the range, hand-held projectors which emblazon 5ft images upon the dark streets and alleyways of Whitechapel, this is definitely not an experience for the faint of heart. From cheap budget places to stay to luxury 5 star hotels see our deals for hotels, including DoubleTree by Hilton Hotel London - Chelsea from 65% off.